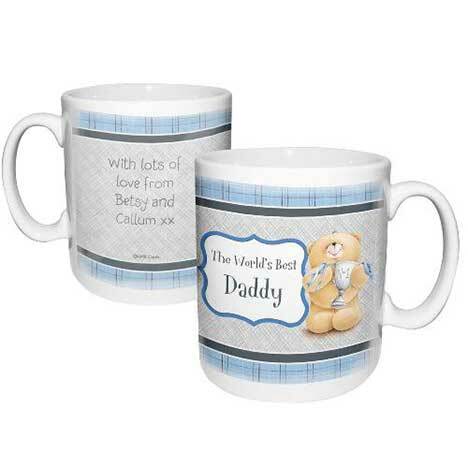 This personalised Forever Friends mug is perfect for sipping a favourite hot drink and would make an ideal gift for any male relation on Father's Day, birthdays or Christmas! On the front personalise this with a message up to 20 characters and a name up to 12 characters. On the reverse of the mug a longer message of up to 4 lines of 20 characters can be added.